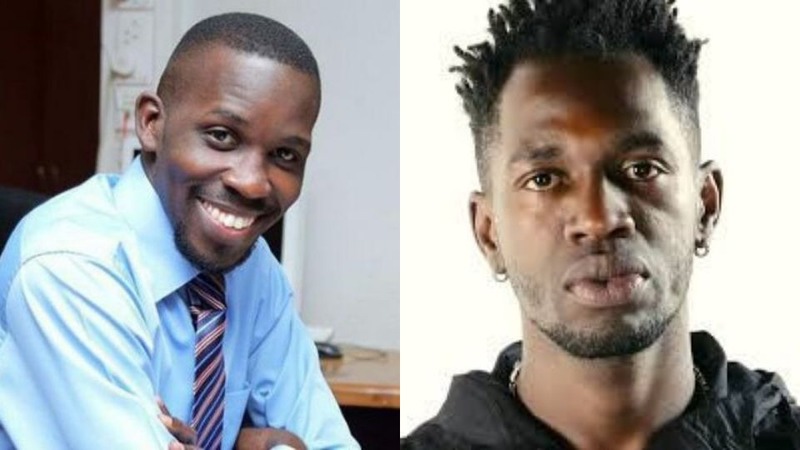 ENTEBBE – Several artistes connected to Robert Kyagulanyi aka Bobi Wine and journalists seeking to cover the Kyadondo East MP’s impending arrival in the country have been arrested en route to Entebbe Airport. Police spokesman Emilian Kayima, when contacted, refused to comment, saying he will soon issue a press statement. “Wait for the statement. It is coming shortly,” he said. From Kitooro Town, which is close to the Entebbe, military and police officers staged roadblocks and started searching every car that was passing. Several people complained of missing flights as a result of taking long in the queues as police searched all those seeking to access the airport. Journalists were also being asked for accreditation from the Civil Aviation Authority and those without it have been blocked. A woman, who was on her way to Amsterdam, Netherlands at 10 pm, said she missed the flight as a result of the delayed checkups which found her in Kitooro. 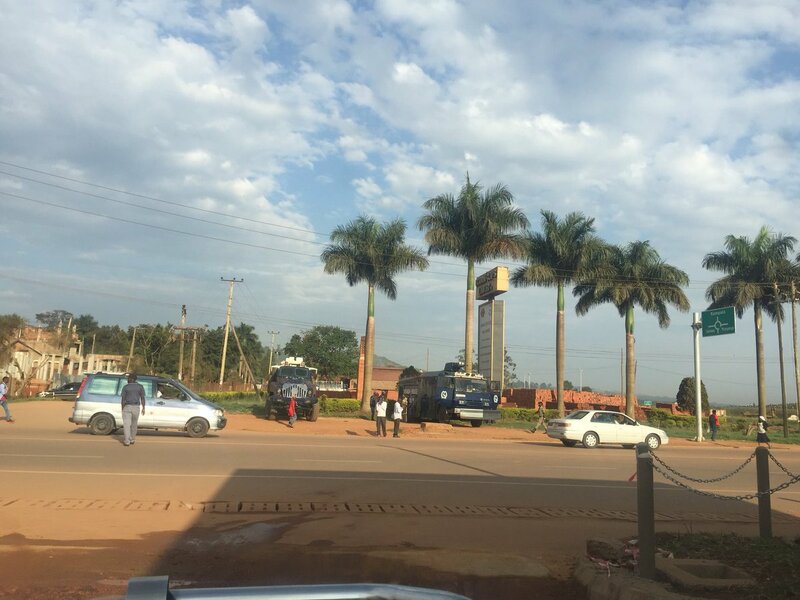 Meanwhile, an army chopper could be seen hovering over and around Entebbe Airport, especially in Kitooro and Abayitta Ababiri. Police’s anti-riot and patrol vehicles were also seen moving along the road, especially in Abayitta Babiri. Most shops in Kitooro remain closed. 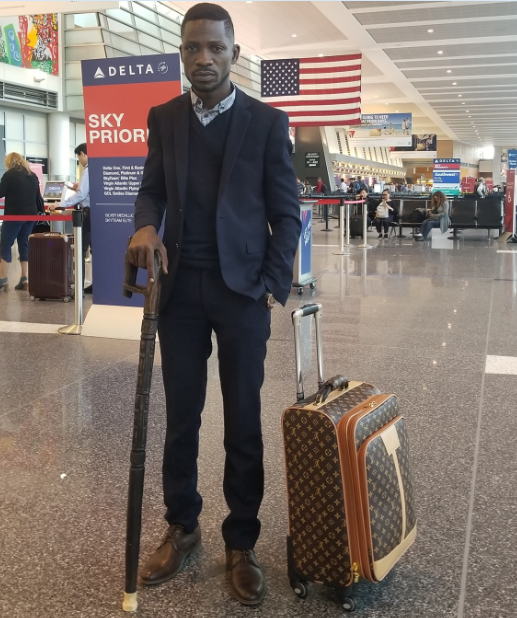 Bobi Wine on Wednesday evening rebuked Police for planning to accompany him to his residence in Kasangati when he arrives at the airport, insisting he has plans of making several stopovers in Najjanakumbi on Entebbe road and Kamwokya in Nakawa Division before heading home in Kyadondo. Police on Wednesday issued tight guidelines to be followed by the legislator upon arrival at the Entebbe International Airport. “He [Bobi Wine] will only be received by his close family members at the airport after; he will be escorted to his home. 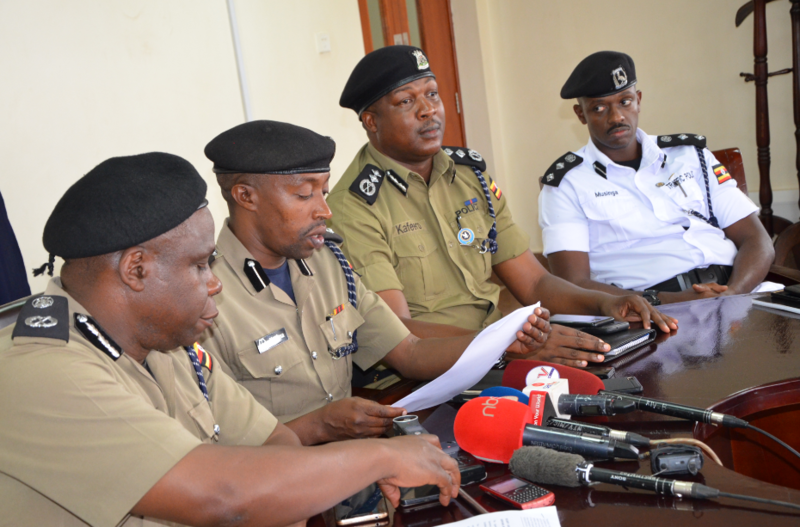 There will be no rallies,” the statement issued by police spokesperson Emilian Kayima read in part. Kayima also warned that there is no family member or the People Power member that has informed them about any plans by the legislator to hold a procession and any attempts to hold one will be a breach of the Public Order Management Act. But Bobi Wine attacked police officers saying they want to decide who picks him and where he goes go upon arrival.